Please note that Sandoz AG acquired EURO-PHARM's North American product portfolio and is allowed to promote these products in Canada as of June 1, 2016. 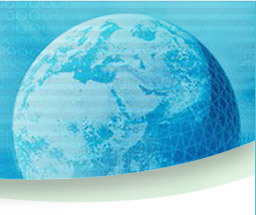 To be directed to Sandoz Canada website, click here. 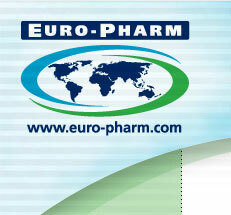 EURO-PHARM wishes to invest in export to increase its products' presence internationally. EURO-PHARM will also continue to invest in contract-based manufacturing for current and future partners located outside of Canada and the United States, as well as laboratory services. Euro-Pharm has added Euro-B12 LA (cyanocobalamin 1200 mcg) in bottles of 500 Tablets to its product line. This product is REIMBURSED by the Quebec Drug Insurance Plan and private insurers, if prescribed by your doctor. Euro-Hydrocortisone Cream USP 1% is now available in tubes of 15 and 30 g.
Euro-Pharm added Euro-ASA EC 80 mg to its line of Acetylsalicylic Acid. Available in bottles of 500 and 1000 enteric coated tablets. Included in the Quebec Formulary. Euro-Folic 1 mg (Folic Acid) is available in bottles of 100 tablets. For the prevention of Neural Tube Defects. PREuro-Hydrocortisone Cream USP 1% is now available in jars of 45 g.
Cebolixs® is carb inhibitor made from brown seaweed (Ascophyllum nodosum & Fucus vesiculosus) available in bottles of 60 Capsules. Visit www.cebolixs.com for more details. © Copyright 2007 EURO-PHARM International Canada Inc.